His style is Solid Rock-Blues-Funk, he can Swing, and can also Program Drums for dance grooves. No matter what style or mood, Joe will match it with a Groove. 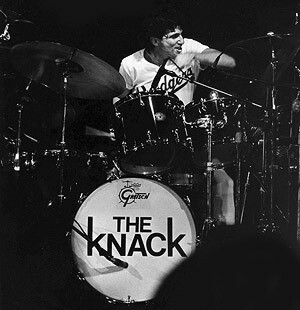 His white Slingerland drums, V-Drums and assorted percussion, are his tools of Groove. Joe is always looking to play Drums with great players who are dedicated to their craft. Worked 4 years with Producer/Bass player Howie Epstein., Played drums at Bob Dylan's house with Howie. 1991 won Grammy for Prine's "Missing Years" album. John Prine "The Missing Years", "Lost Dogs and Mixed Blessings"
Carlene Carter "Little Love Letters"
Soy Cowboy "Missing In Action"
O the Band (with Jeff Jouard) "O"
Many demo and personal projects from 1977 to present in many studios in Los Angeles. Video of the MOST Incredible Drummer I've heard in a long time! The world has lost another great drummer!